Home News Annual Waste Recycling Rates at 80%! Annual Waste Recycling Rates at 80%! We are very pleased to be able to announce considerable success in supporting our own, and just as importantly, our clients’ aims in reducing environmental impacts associated with our activities. 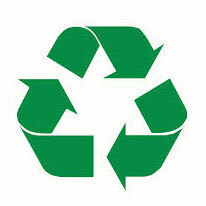 Wherever possible we encourage our clients and our staff to reuse materials. When this cannot be achieved for any reason, we ensure that we maximise recycling opportunities by planning and implementing the effective management of waste produced as a result of our activities. Together with our clients, we have achieved an Annual Recycling Rate of 80% for the financial year ending 31st March 2014. This impressive performance has resulted in over 84 tonnes of waste being diverted away from landfill. These figure do not include the Waste Electrical & Electronic Equipment that is collected separately and consigned to an Approved Treatment Facility for reuse / recycling .We shall continue to explore and implement new and more effective methods of reusing materials and effectively managing the waste stream so that we can continue to improve our performance in this important area.